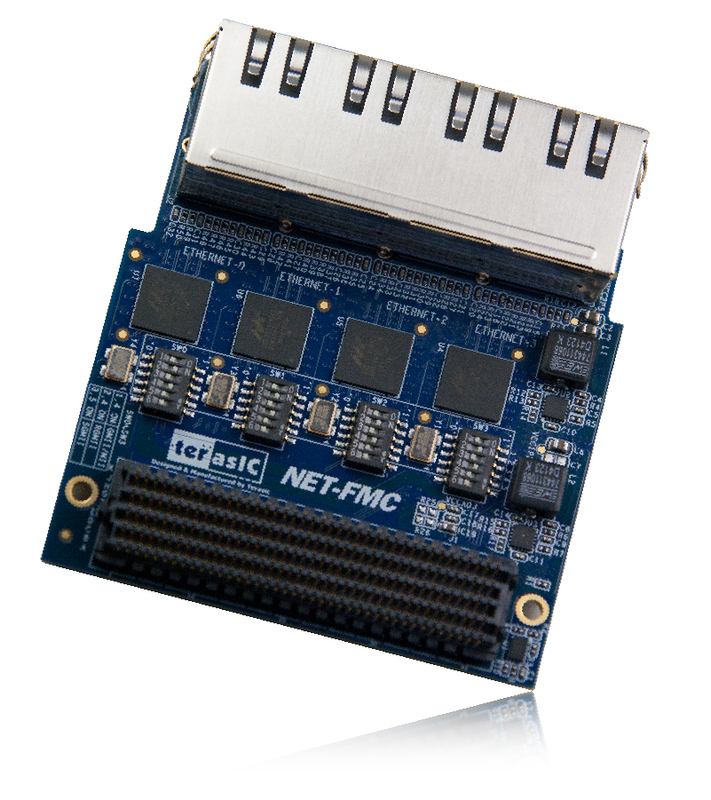 The Terasic NET-FMC is a Gigabit Ethernet transceiver with an FMC interface. It offers network transfers of up to 1 Gbps with the host board using an FMC connector. Also, it provides a fully integrated Ethernet solution enabling fast implementation design, shortening development times, and allows you to focus on the core functions of the system design. Lastly, the NET-FMC can be connected any FMC(HPC) interfaces.